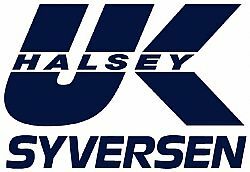 The Organizers are very busy producing a special program to ensure that both on and off the water the event will be one of the highest quality. The program is aimed for 2 (or 3) races on Friday, 4 on Saturday, 4 on Sunday and 2 on Monday. A Notice of Race will detail precise times. The first start will be at 13.00 hours on the Friday and this event will end at 12.00noon on Monday. 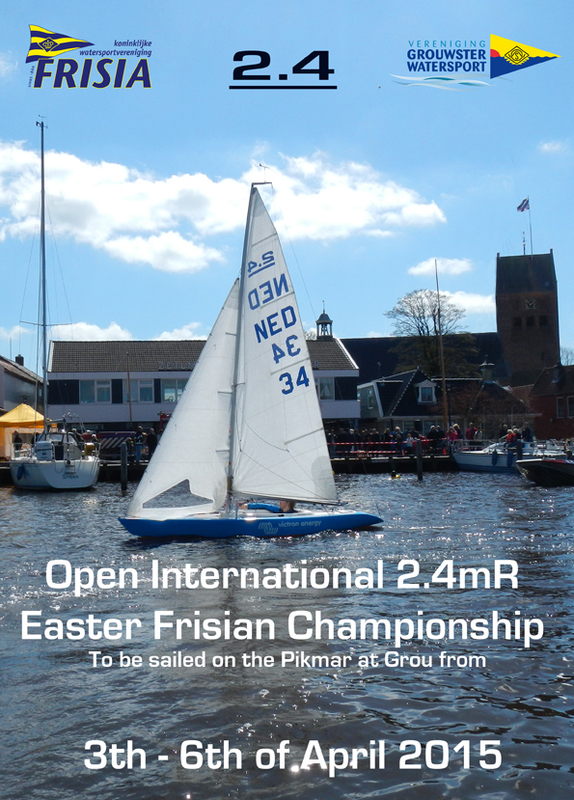 The regatta will take place on the Pikmar, water ideal for the 2.4mR, and the course will be a windward/leeward course containing a windward gate and a leeward gate. The racing will be organised by a quality race team, so that competitors will be assured of good racing. The Pikmar is a lake which at its widest is one kilometer in length and a mile long and gives the race team an excellent possibility for a long leg length in any wind direction . The water is of a size where waves in strong conditions are not an issue for the 2.4mR. The regatta centre and clubhouse is the ‘Zeilcentrum Grou’. Full changing facilities including good disabled facilities are available for all competitors and full catering is available for the whole event. Registration on the website will be available shortly. 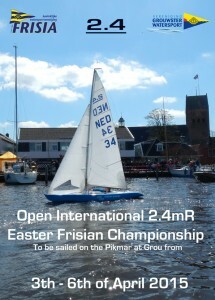 Interested sailors are invited to send an email to EOFC24mR@kwvfrisia.nl and they will be kept informed of developments. Måste tyvärr meddela att denna tävling har blivit inställd.